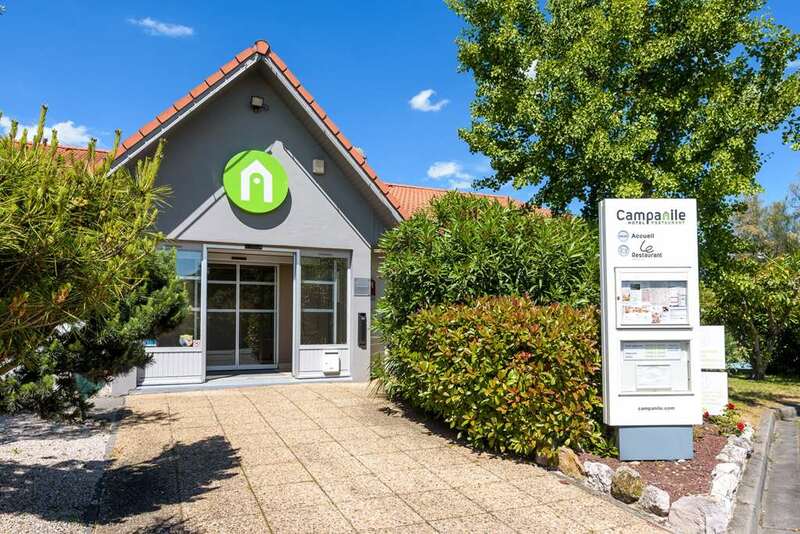 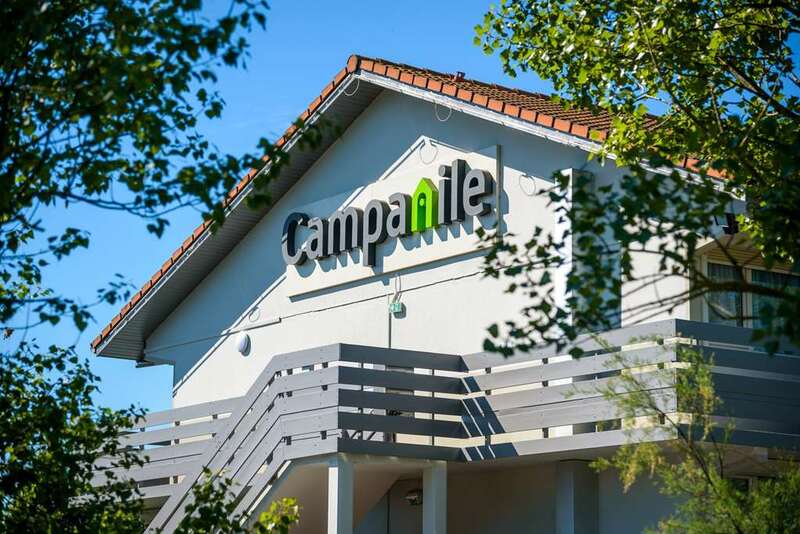 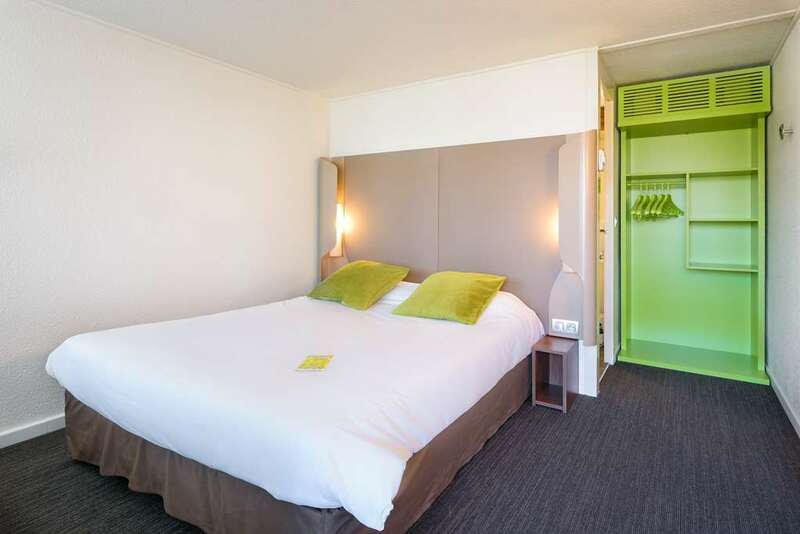 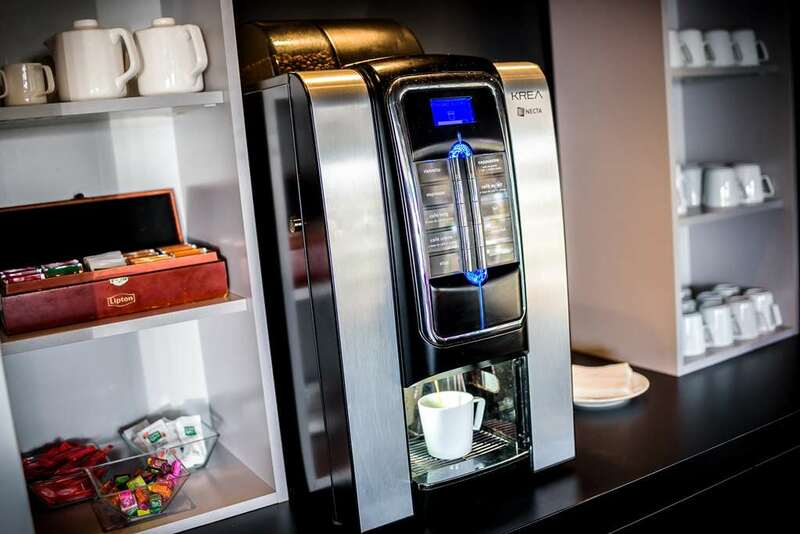 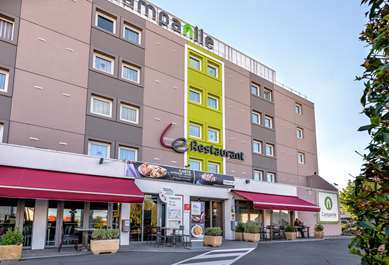 The Campanile Toulouse Nord – Sesquières Hotel Restaurant, a 3 star hotel, is situated in the heart of the Midi Pyrenees region, at the foot of the A62/Bordeaux toll gate. 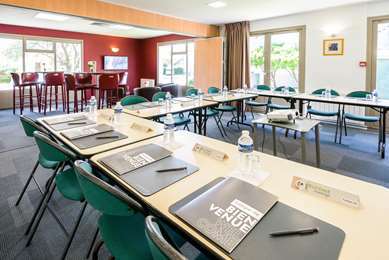 Close to the Sesquières lake, a few minutes from the rose-coloured city centre, our 3 star hotel in Sesquières is the ideal starting point for discovering the surrounding area: unmissable sites such as the Place du Capitole, the St Sernin Basilica, sports venues such as the Ernest Wallon sports stadium, the André Brouat sports arena or even the Pierre Baudis conference centre. 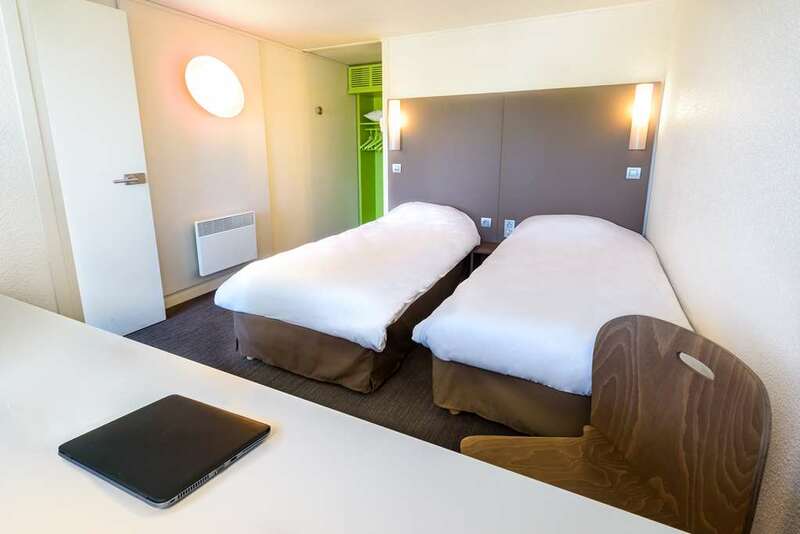 The Airbus Industrie and the Cité de l’Espace sites, as well as Toulouse Blagnac international airport, are only 15 minutes via the ring road. 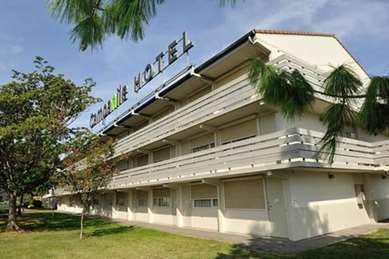 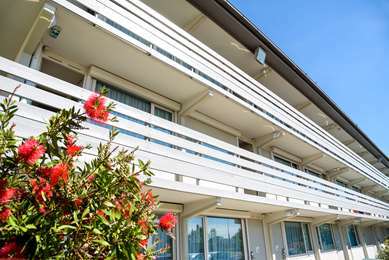 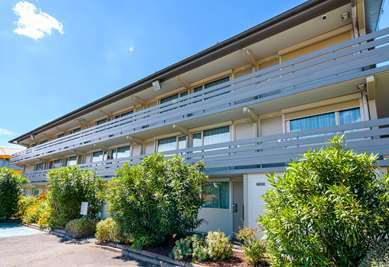 The hotel has 49 comfortable rooms which are air-conditioned and equipped with a bathroom and bathtub. 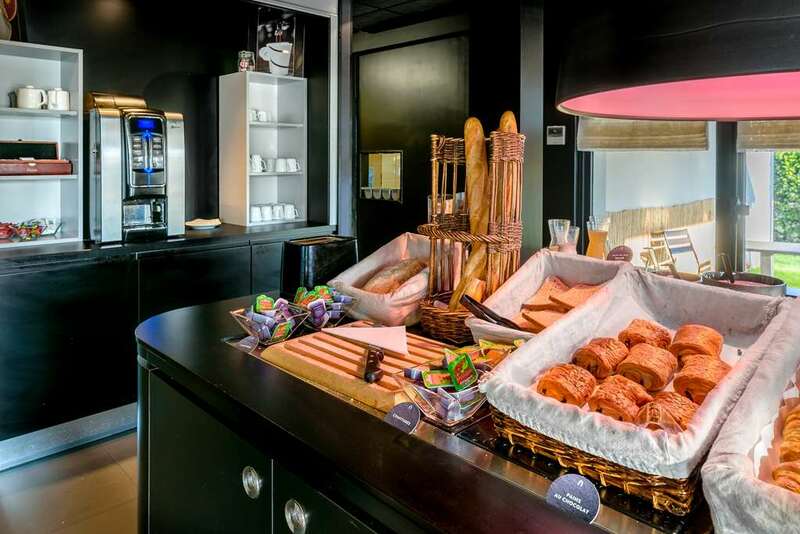 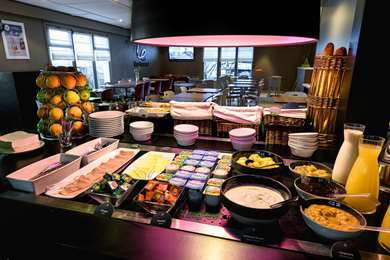 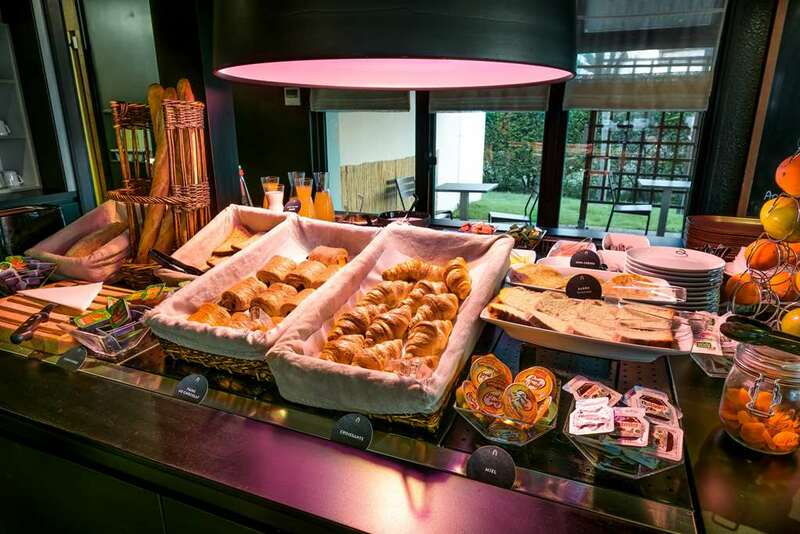 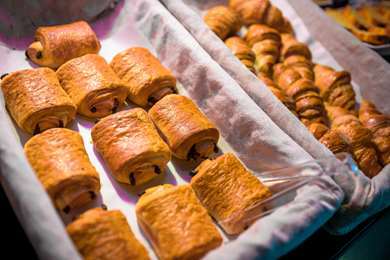 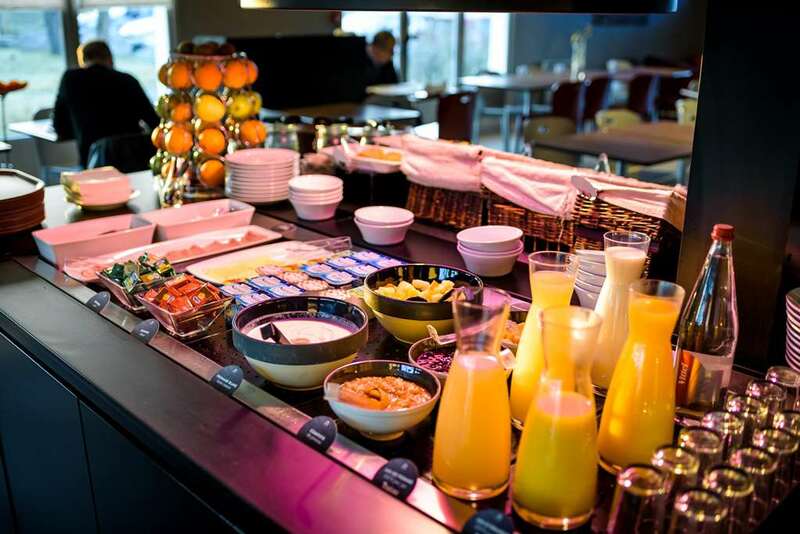 Our restaurant in Toulouse, which was recently renovated, welcomes you every day for buffet breakfasts, as well as for your lunches and dinners. During the summer season, you can enjoy our covered terrace. 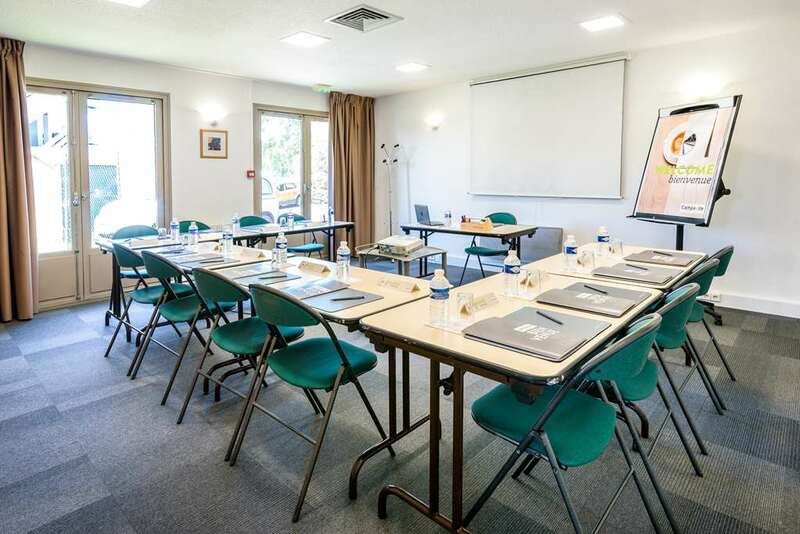 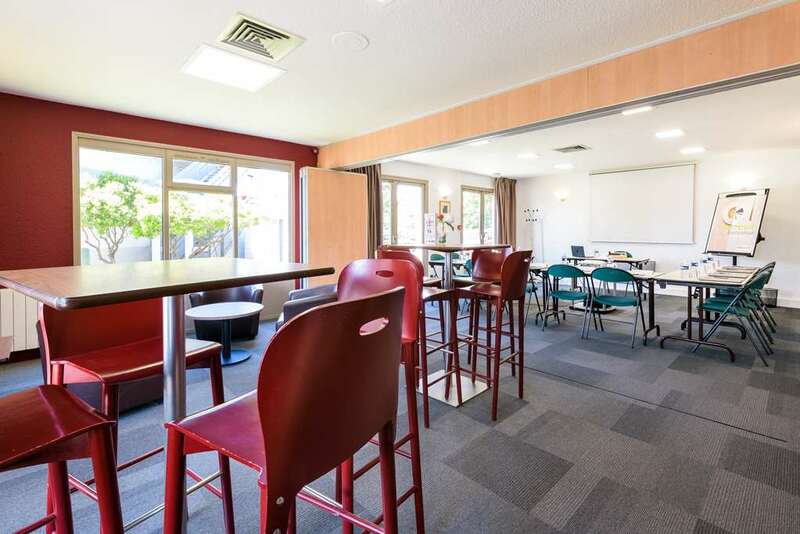 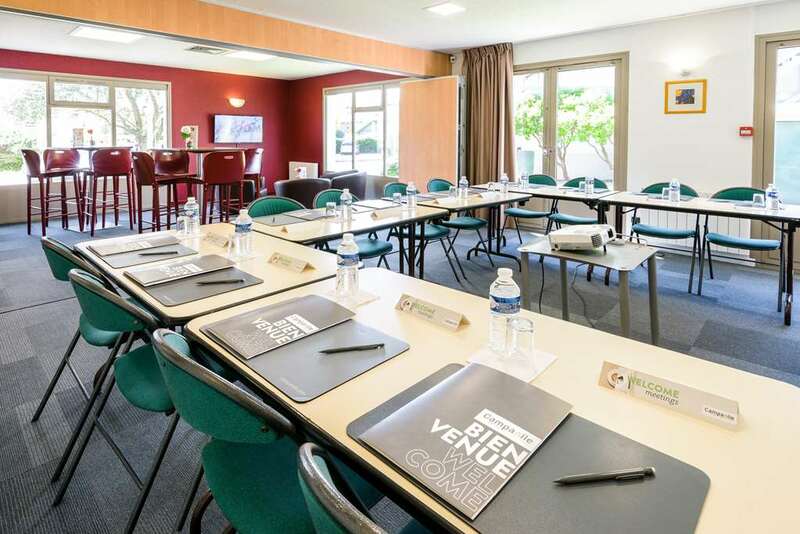 For your meetings in Toulouse, the hotel has an adjustable conference room on the ground floor, which can accommodate up to 40 people in the style of a theatre. 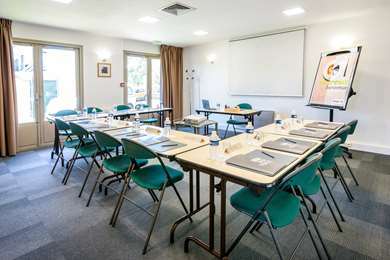 This room has all the equipment necessary for your meetings (screen, flipchart, video projector, stationery kit, USB key). 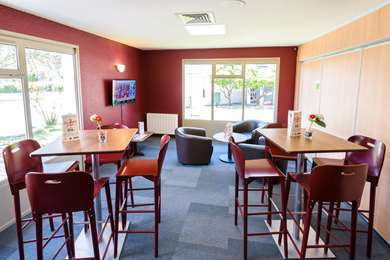 The internet connection is free of charge via wifi. 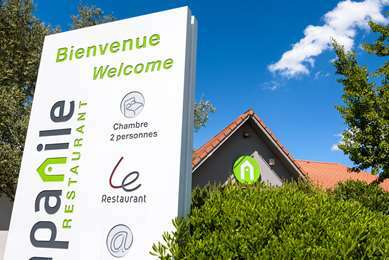 Sesquières lake is opposite the hotel and is the ideal place if you wish to go for a walk or a run. The reception is manned 24/7 and a large free car park is also available which can accommodate coaches. 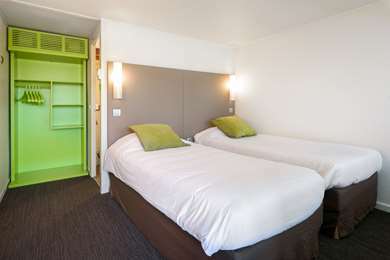 The Campanile Toulouse Nord – Sesquières Hotel has 49 rooms. 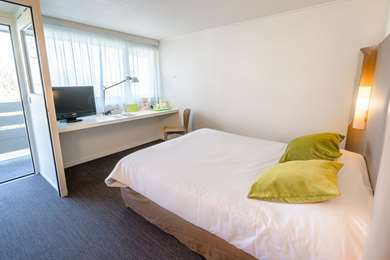 Simple and comfortable, our air-conditioned rooms are equipped with a desk, telephone, flat screen television, complimentary tray with kettle and wardrobe, as well as top of the range bed linen with 100% microfiber duvet and pillows. 50 rooms have a bathroom with bathtub, the 3 others have a shower. 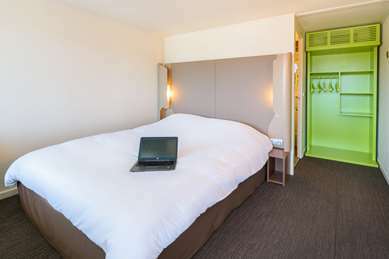 You can access the internet for free thanks to the wifi connection which is available throughout the hotel. 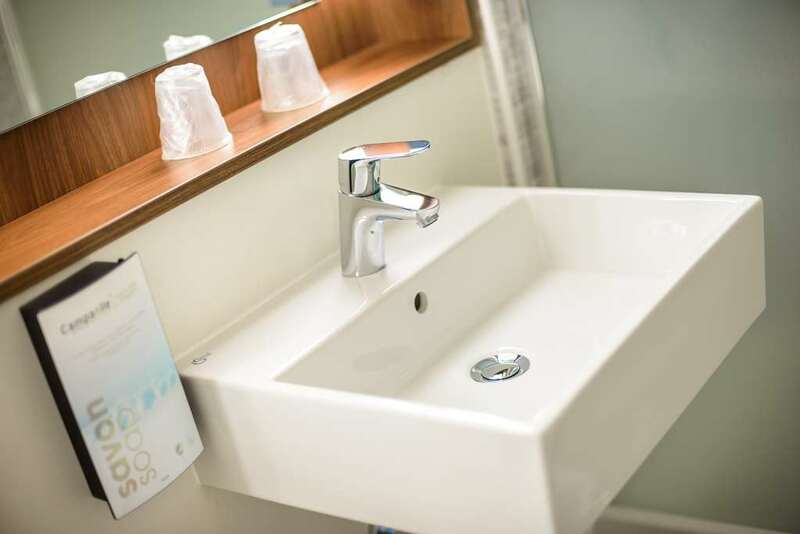 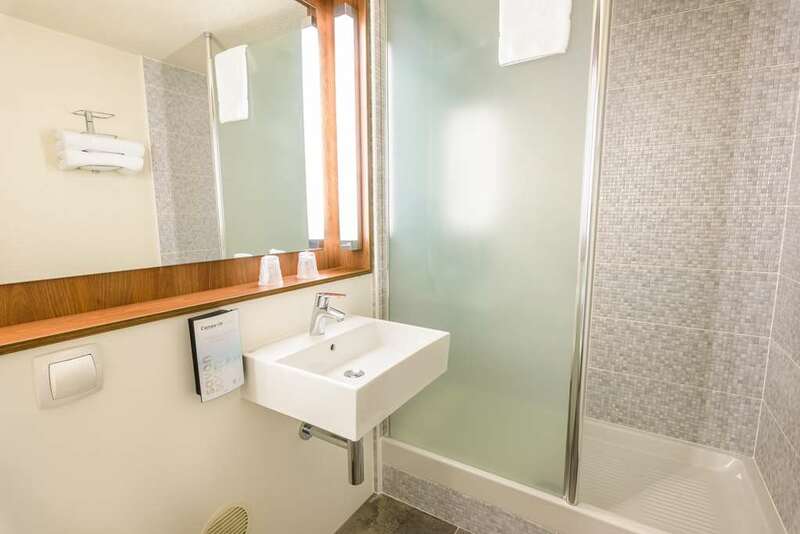 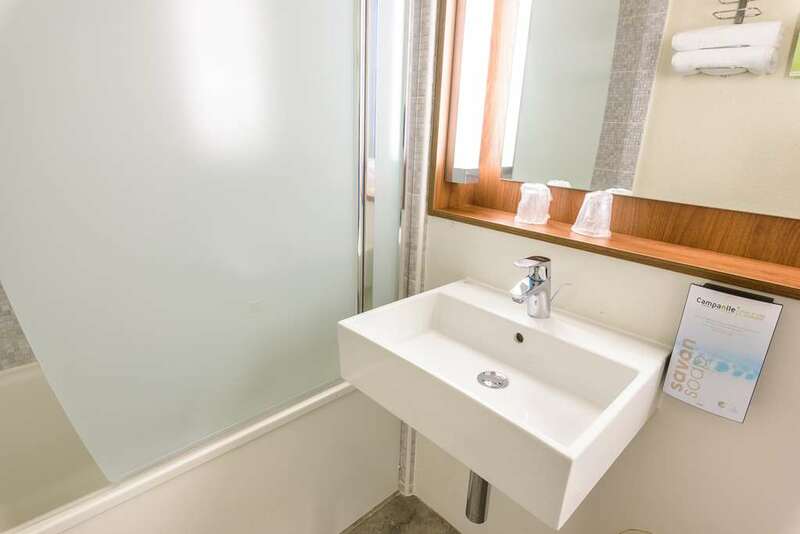 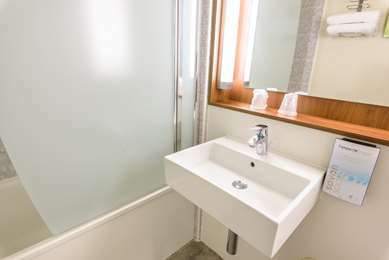 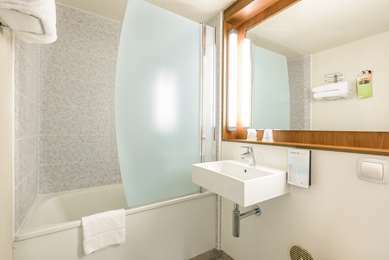 Three rooms have been specially designed for people with reduced mobility, they are on the ground floor and two are equipped with a hip bath, the other with an Italian shower. 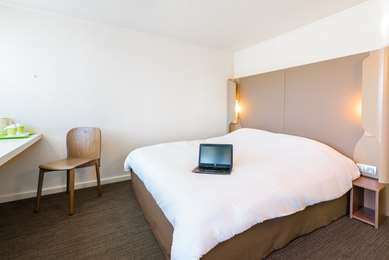 As for our bedding, it is enhanced to meet your needs. 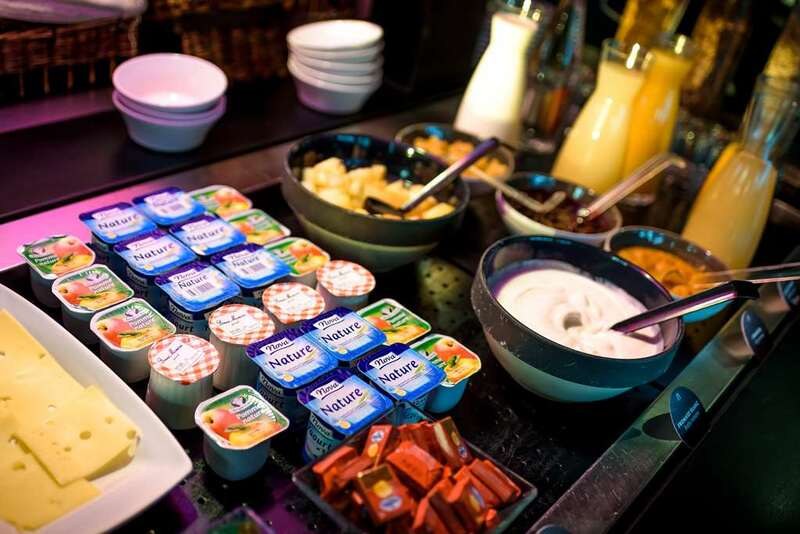 From 6:30 a.m. to 9:00 a.m., enjoy a balanced buffet breakfast: tea, coffee, fresh fruit juice, cereal, pastry, breakfast meat, yogurt and fruit salad. 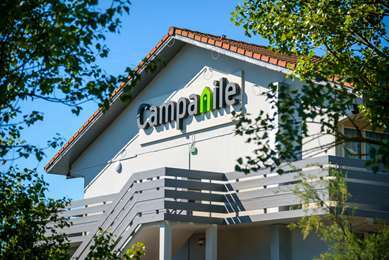 Campanile TOULOUSE NORD - Sesquieres offers regional, traditional, light or family-style cuisine. 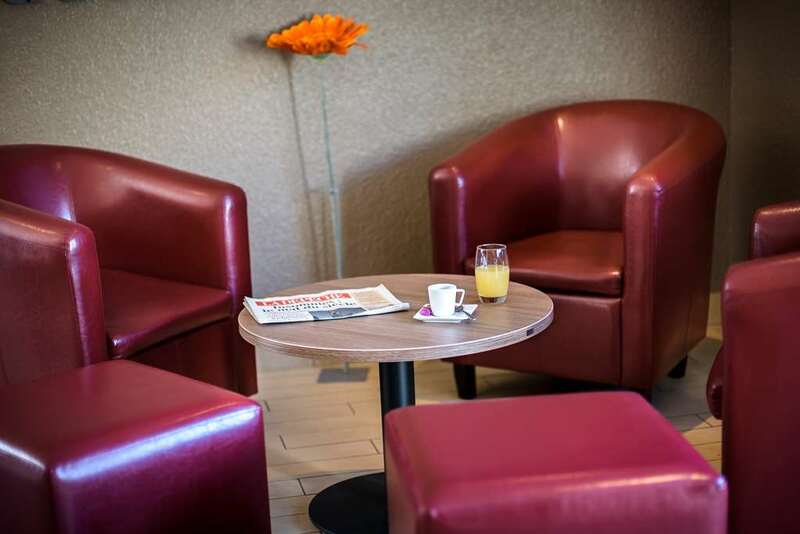 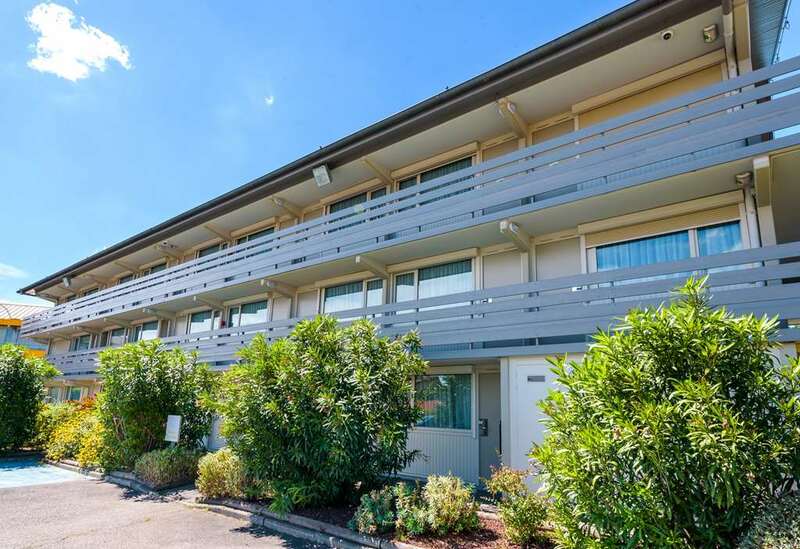 Room service is guaranteed (with reservation) until 10 p.m.
From Bordeaux/Montauban via A62: after the toll take the west ring-road (A620), direction airport, exit 33A Sesquieres. From Montpellier/Carcassonne via A61, or Albi via A62: take the east ring-road (A612), direction Bordeaux/Montauban, then direction Airport/Toulouse Centre, exit 33A Sesquieres. 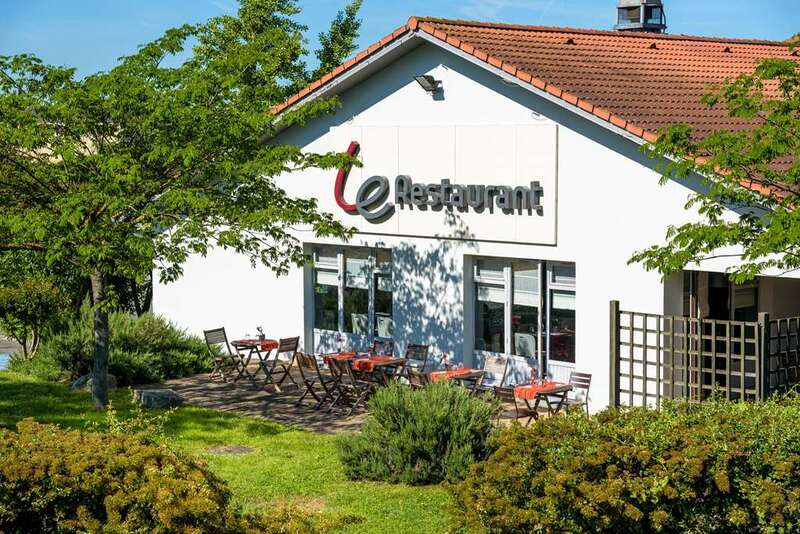 From Auch/Foix/Tarbes via A64, N124, N20: take the west ring-road (A620), direction Bordeaux/Montauban, exit 33B Sesquieres, then turn right direction MIN. Take the first on left. 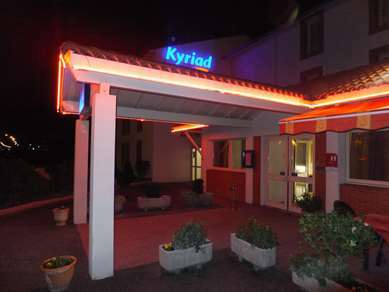 At the round circle take the second exit. 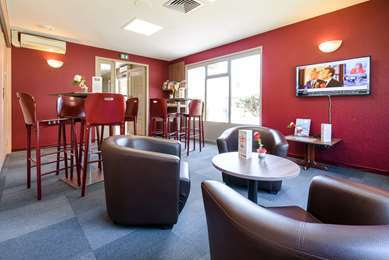 Railway station Toulouse Matabiau at 5 km. Toulouse Blagnac Airport at 7 km direction Sesquières.